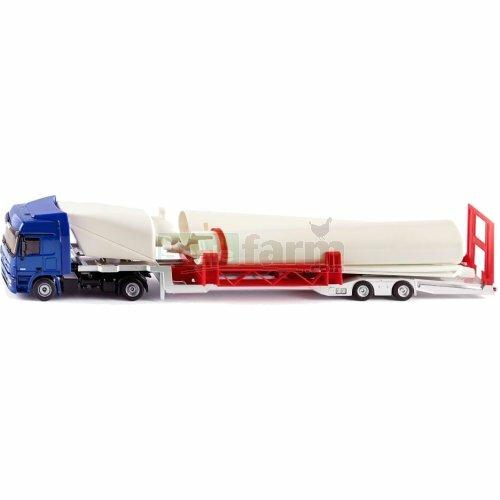 Die cast metal model Mercedes Benz Actros cab with low loader trailer with original decal detail, drop down tailgate / ramp and rolling wheels. Wind turbine with easy slot together design, blades rotate. Turbine approximately 65 cm tall. With adaptor to fit on Siku World base plates.